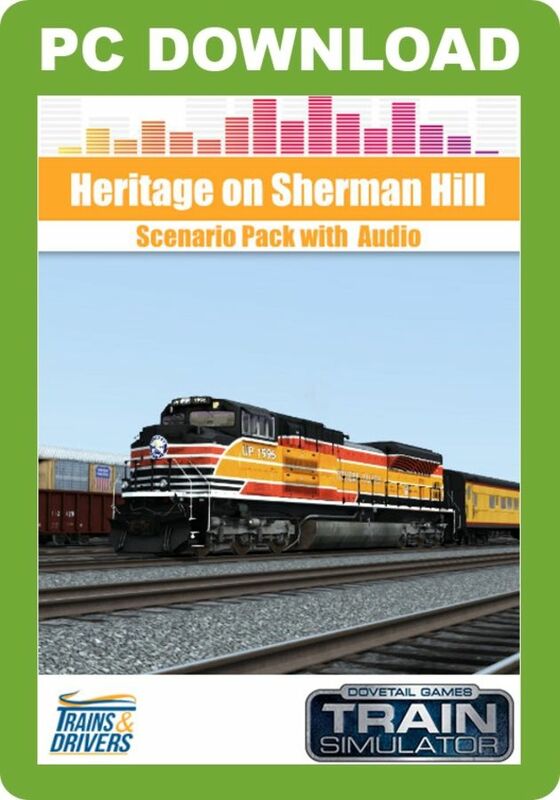 This Trains & Drivers 'Heritage on Sherman Hill' scenario pack for Train Simulator features radio messages sent from dispatch to engineer and takes these scenarios for the Sherman Hill Route Add-On to a new standard. 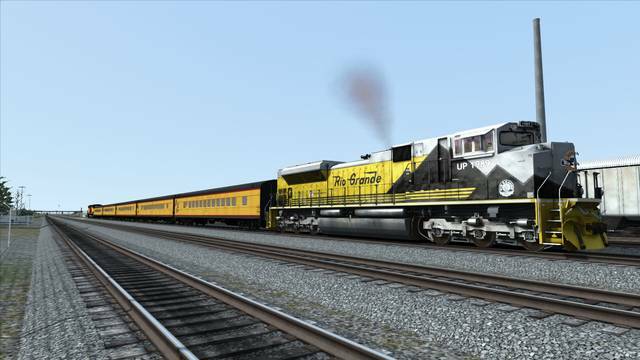 Enjoy six realistic scenarios featuring the various UP Heritage SD70 ACE engines (not included), hauling heavy freight and special passenger services over the famous route in the Laramie Mountains, Wyoming, USA. 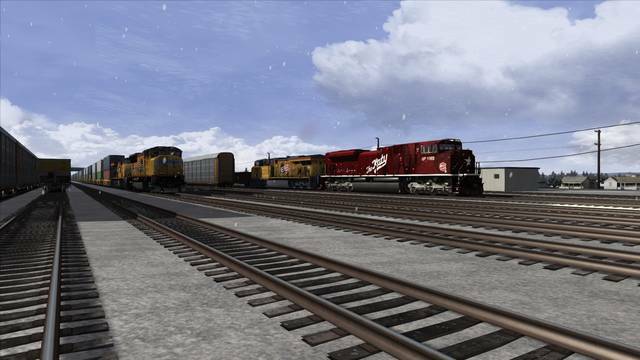 Featuring the voice of Eric Chase from Train Simulator Enthusiasts! It's still early in the morning, and you are almost done with your shift. 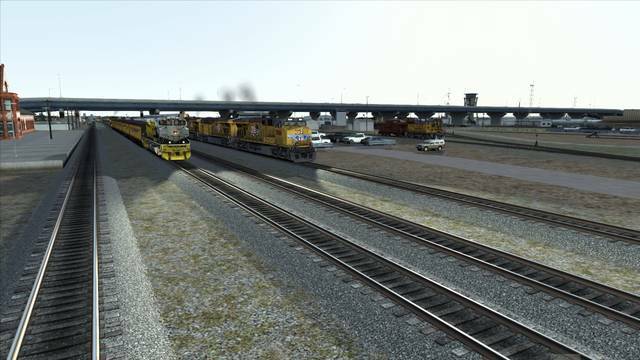 The Laramie Subdivision dispatcher has ordered you to stop at a signal at Granite to allow a wrong way M-O-W service to pull into the sidings for your clearance. Once the MOW service is cleared, proceed to Cheyenne, where you are due for a crew change. 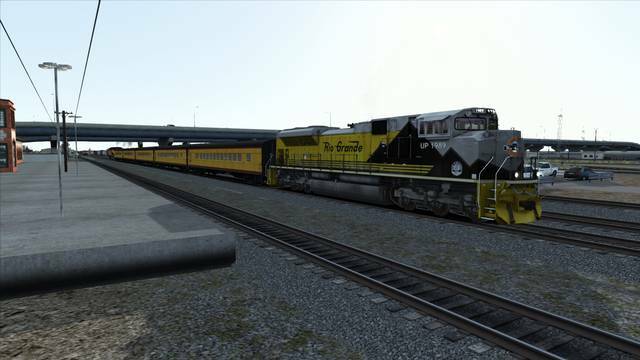 Union Pacific have put UP Heritage unit 1983, the CNW unit, in front for power, so take care of this precious engine. Your ID is UP A-SEACHC, Lead 1983. 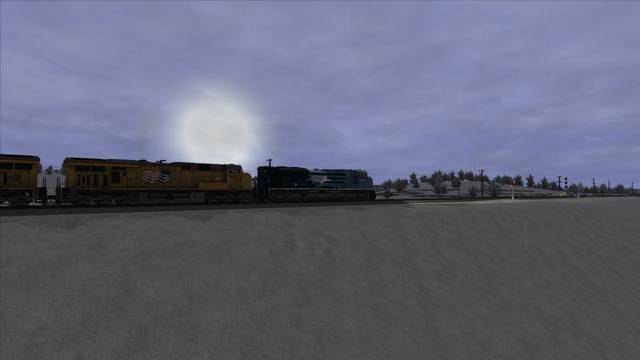 December 31st 2012: Well, it's time for your last run of the year, and today's run will be a perfect way to end 2012, with a run in UP 1988, the Missouri Kansas Texas heritage unit. 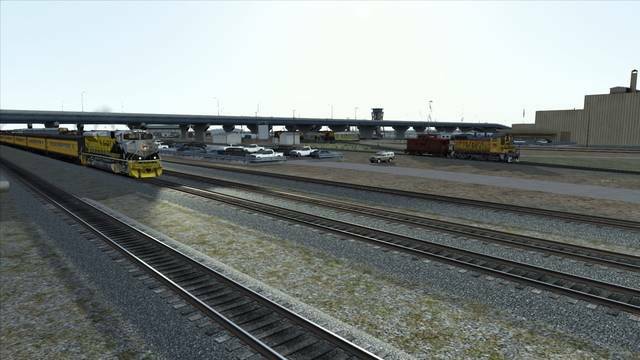 You have been ordered into Cheyenne Yard to allow some new cars to be attached. Complete your brake checks before heading onto the main. However, don’t think this will be an easy run. 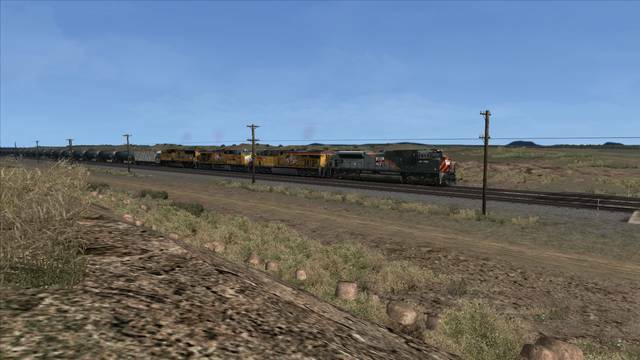 Union Pacific UE-OMSZ is a unit train carrying ethanol between Omaha and Salt Lake City. You have been tasked with taking UE-OMSZ between Cheyenne and Hanna, where another crew will take over. 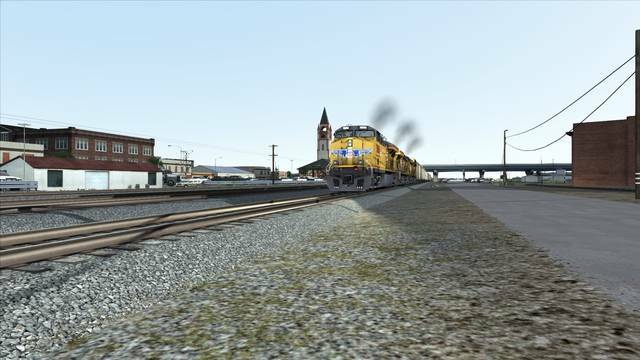 Operations have been smooth from Cheyenne, however, due to a signal issue, dispatch has ordered you to stop at Buford. 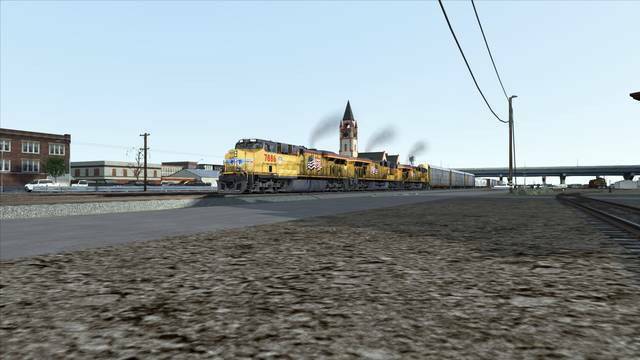 Now that the signal has been fixed, you can proceed to Laramie, however, you should expect some adverse and restricting signals en route to Laramie, where you are due to pull into the yard. Union Pacific C-HWHP is a loaded coal service operating between the Shoshine Main at Hanna, Wyoming, down to the Smithers Lake Power Plant in Houston, Texas. 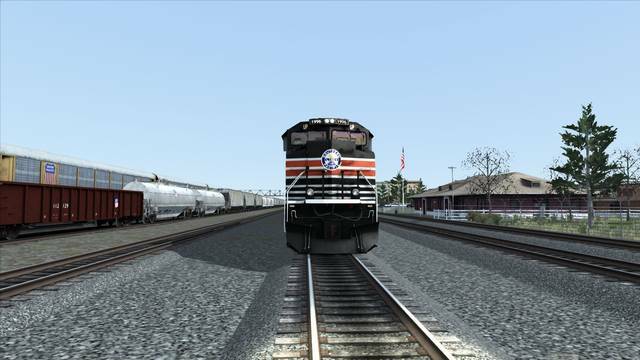 You have been stopped at Perkins East Siding to allow a manifest service to pass via the main track. Once he has passed and the signal permits, proceed east along the Third Main. You will be subject to adverse signals along the way due to the inclement weather. It is May 10th, 2009. 140 years ago, Leland Sanford drove the golden spike into Promontory Summit, Utah, marking the completion of the famed Transcontinental Railroad. To commemorate this special event, Union Pacific has scheduled a passenger excursion between Cheyenne and Laramie and back again. You have been assigned to take this special service on its round trip over the Hill. Passengers here in Cheyenne are boarding, so you will soon be on your way. Well, the photographers have gotten their chance to take their photos, so now we can head back to Cheyenne. For the return journey, you will be sent non-stop (as per ordered by UP officials) via the third main. You need to arrive in Cheyenne by 11:30. 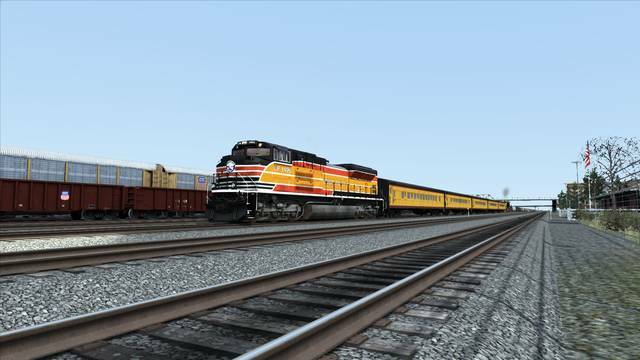 This Trains & Drivers scenario pack provides six scenarios of medium difficulty for the Sherman Hill Route Add-On, with radio chatter included, realistic AI traffic and narrations by Eric Chase (Train Simulator Enthusiasts). 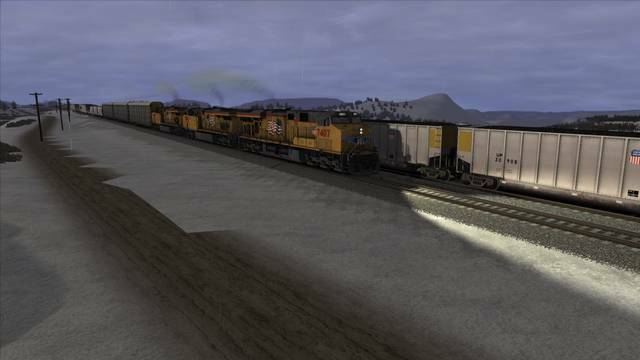 You'll be driving various UP Heritage SD70 ACE engines as you haul heavy freight and special passenger services over this famous route in Wyoming, USA.